1976 was an awfully long time ago. Looking back at some of the events of that year – the first commercial flight by Concorde, The UK winning the Eurovision Song Contest and inflation hitting 16.5% – one can easily feel as if it all happened in a parallel world to the one we inhabit today. If you remember living through it, you will no doubt recall its long, hot summer but even that memory, vivid as it may seem, cannot change the fact that it happened half a lifetime ago. It’s easy to believe such anecdotes are little more than curiosities of a bygone age: footnotes in a textbook rather than relevant to 2018. At CSG, something of real significance happened in 1976 – something to confront issues that are relevant to any age, to the present day. Margaret Hart, the wife of our founder, Edgar ‘Bunny’ Hart, had inherited his shares upon his death in 1971 and decided to use a substantial number of them to create a means to provide help to CSG employees and their families, current or retired, wherever it was needed. The aims of the project were formally drafted and the Margaret Hart Trust came into existence. The Trust was founded to provide assistance where health problems result in financial difficulty and to help ensure that those who have retired can continue to live independently in their own homes. In addition, every Christmas, dozens of beneficiaries now receive a hamper of goods to ease costs at an expensive time of the year and every August, each retiree is invited to an annual Tea Party in Hampshire, giving them the chance to meet, share stories and partake in a magnificent tea. Holiday contributions are also made available to those who would struggle to afford quality time away from home. Margaret Hart lived through two world wars and a depression, experiencing both the hardships they presented as well as the stoicism of people of those times to suffer in silence, rather than ask for help. She felt strongly that well-being was too important to sacrifice in the name of pride but she also understood that providing help must be done sympathetically, without intrusion on dignity. For this reason, the Trust’s very existence is placed into a wider context, the ongoing relationship we have with those who have contributed to our success. Today the Trust’s Chair is Margaret’s daughter, Hilary Hart, who describes the very reciprocal ethos it still embodies. The “ours” in that statement refers to the seven trustees who meet regularly to guide and instruct the Trust’s Co-ordinators, Fred Pothecary and Diane Lane. It’s also a nod to Hilary’s sister, Heather (CSG’s Chairman) that together, they have continued to fulfil the objectives of their mother’s far-sighted initiative. Heather has also spoken of being “very proud” of the Trust’s achievements. It’s difficult to disagree. 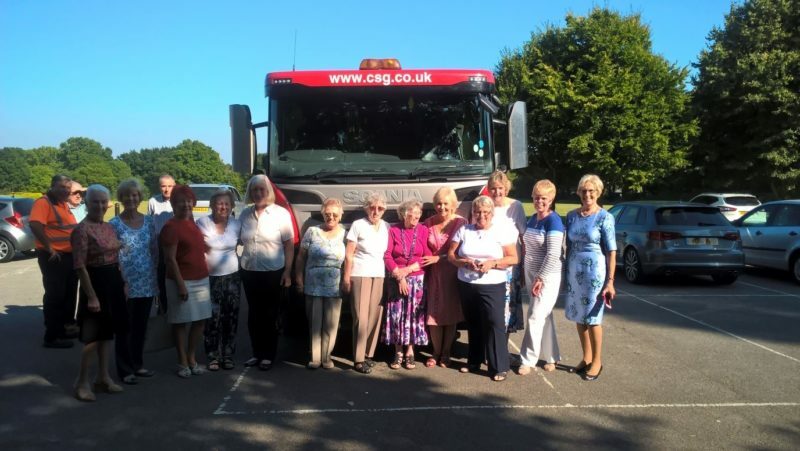 The activities of the ‘MHT’ are tangible examples of the widely-held sense amongst the CSG team that they belong to an ‘extended family’, with Hilary and Heather to be greeted on strictly first-name terms. It enables those who may have once believed themselves to be simply “employees” to become more akin to life-members of a club. With UK workers in the same job now for only five years, half the figure it was in 1976, the permanence of the Trust’s outlook offers an appealing alternative to the short-termism that today’s workforce is commonly supposed to hold. Day-to-day Trust activities largely comprise of gardening and home visits to retirees. Where personal mobility issues exist, they have been addressed with the provision of electric scooters. There’s also a constant administrative overhead in which information on forthcoming events is disseminated and queries are fielded. When misfortune intervenes, the Trustees convene quickly decide upon the appropriate level of support offered – sometimes, assistance with hospital parking fees is all that’s required but often, it can be much more than that. 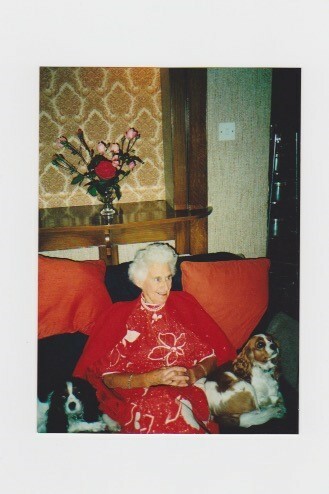 Margaret Hart died in 1994, having seen the Trust play an important role for the last eighteen years of her life. Today, almost a quarter of a century after it became part of her legacy, what does Hilary believe her mother would make of its various activities? And what of the future? Can an institution that appears to have more in common with Victorian philanthropy than business in the 21st century continue to do what is has always done? Hilary is unmoved by the suggestion that material change is inevitable – or indeed, likely. While Partnerships and Co-operatives may offer similar support systems to their employees, Hilary and Heather still believe their mother’s brainchild to be a unique example of its kind amongst privately-owned companies. 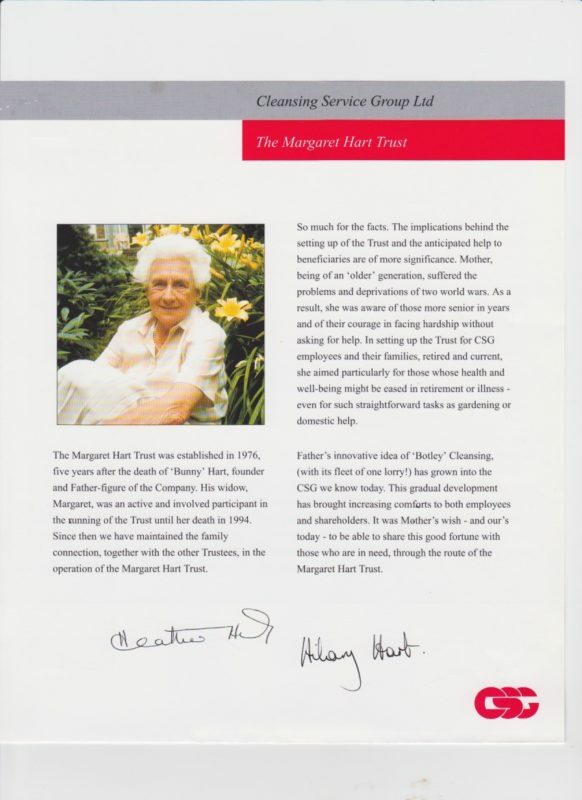 The Margaret Hart Trust continues to be a triumph of corporate social responsibility but the fact it is still so unusual is perhaps an indication that the world may not have changed as much as we like to think. Forty-two years on from its inception, it continues to forge its own path, providing an example to other employers that the key to the future can very often be found in the past.